Our range of products include high pressure pumps. Owing to the dedication of our diligent professionals, we have earned a reputed name in manufacturing, exporting and supplying the finest quality assortment of High Pressure Pumps. 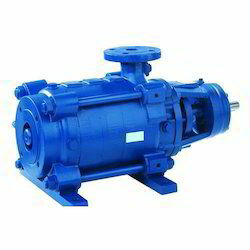 The offered pumps are well known by the clients for various quality features like noise free and easy installation. Further, these pumps are manufactured using premium quality components and modern technology in sync with industry norms.